love old books!!! love to win this!! thanks! It appears to be a fine set. Thanks & I hope you find a good home for them all. Wonderful collection! Thank you for the chance. Also thank you for taking the time to offer such great items on Fridays. 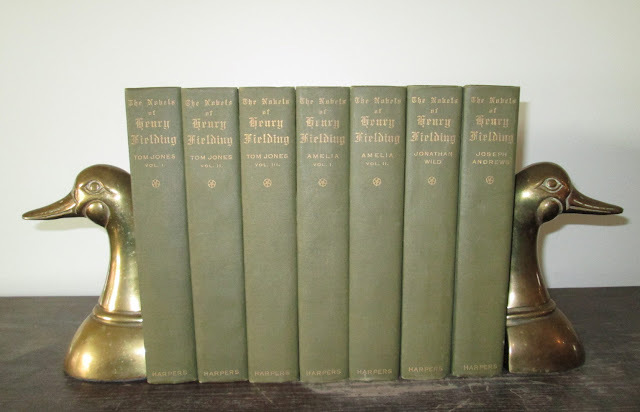 I am a fan of Fielding and of your blog. Thanks for the interesting posts. I would love to win. Hubby and I love old books. This would be an awesome gift for our upcoming anniversary. Thanks for the chance.